Agilis is from the Latin root for agile. Obvious perhaps. Yet a good description of our pro-active approach to marketing your business. Is your marketing driving results? Do you know which of your marketing strategies are working and which are not? In today’s world, target markets and the means with which to reach them are changing by the day. Our data-driven approach can place you in front of your audience with broad-based exposure through strategic networking, planning and management. Our integrated marketing tools include web design, SEO, social media, email, traditional marketing, and analysis to provide measurable ROI. Driving action is critical to staying front-of-mind with your customers. 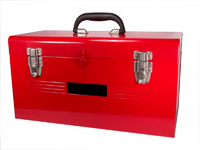 Agilis has the tool box and experience to keep you in the driver’s seat in your market. Shotgun marketing strategies like mass direct mail and broad-based email marketing have become obsolete in today’s fast-paced technology-driven world. Why accept small response rates like 0.3% from large-scale mailings when you can achieve 15-20% from behavioral targeted markets? Through demographic and geo analysis we will help identify your high value customers, engage them and provide you with a higher response rate, loyal engagement, return business and a solid referral base.